Every woman we have covered thus far has either been a queen or a lady. 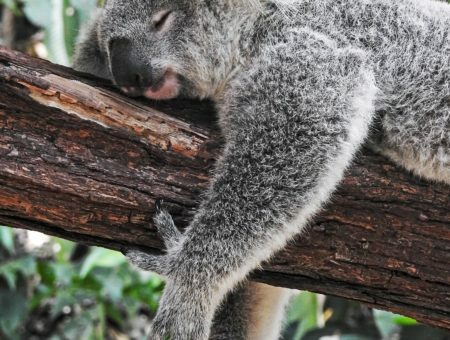 Today, we move away from that. Though she might be considered a lady by birth, our next installment of this series is certainly anything but a proper lady. Today, we’re covering a fan favorite on the show, Arya Stark. Arya Stark is the youngest daughter of the Stark family and the fiercest of her family members. She goes on many adventures throughout the course of the show, from disgusting herself as a boy to escape the clutches of the Lannister family, to training as an assassin with the Faceless men, to becoming one of the most deadly fighters in all of Westeros. 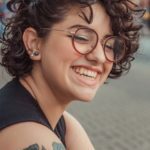 Arya’s wardrobe, in contrast to the other women on the show, does not change much throughout the show. Nonetheless, it is interesting to analyze. Unlike the other women on the show, Arya’s costumes are very much inspired by the men in her life, and take on a masculine structure. When Arya is first introduced in season one, it is apparent that she is not your typical lady. She makes this clear when she chooses to practice her skills with a sword instead of learning how to sew a dress. 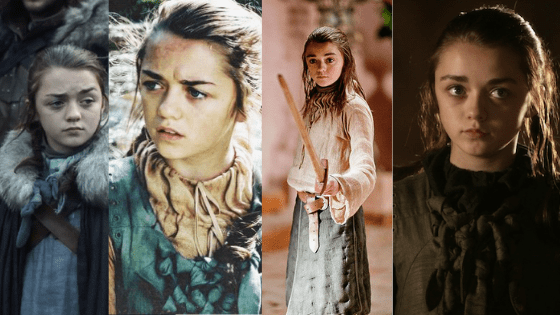 Arya’s adventurous spirit is certainly shown in her early wardrobe: She sports muddy, torn up dresses in shades of light blue and dark brown. Her clothes, in fact, are more reminiscent of what her father wears, rather than what the ladies wear. 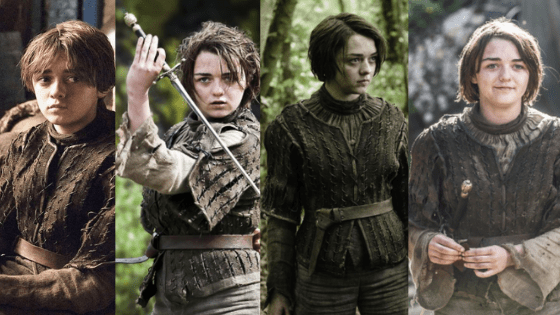 There is not much change in Arya’s wardrobe from season two to season four. She remains in the same all brown outfit that is used to help her disguise herself as boy named Arry. In these seasons, Arya goes from being a servant for the Lannister army, to joining a brotherhood, to being a travel companion of the Hounds. Though Arya’s wardrobe does not change, she does. Her journey leads her to discovering who she is and who she wants to be. 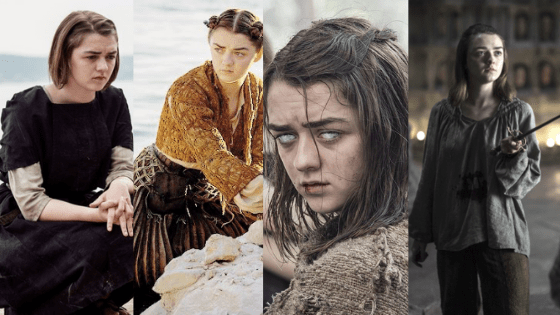 In seasons five and six, Arya goes through her biggest journey of all, leaving her childhood behind and becoming a fierce fighter. Throughout these two seasons, Arya trains to become an assassin, so that she may go on to kill her enemies. During her training she faces many challenges, but in the end she comes out on top. Her fashion in these seasons changes quite a bit. She takes on the uniform of the assassins and wears clothes that are made from thin, flowing fabrics in order to facilitate movement. Her garments are reflective of her change from adventurous girl to trained assassin. In Season seven, Arya finally returns home and is reunited with her family. She starts to take on the look of her father by wearing her hair slicked back. 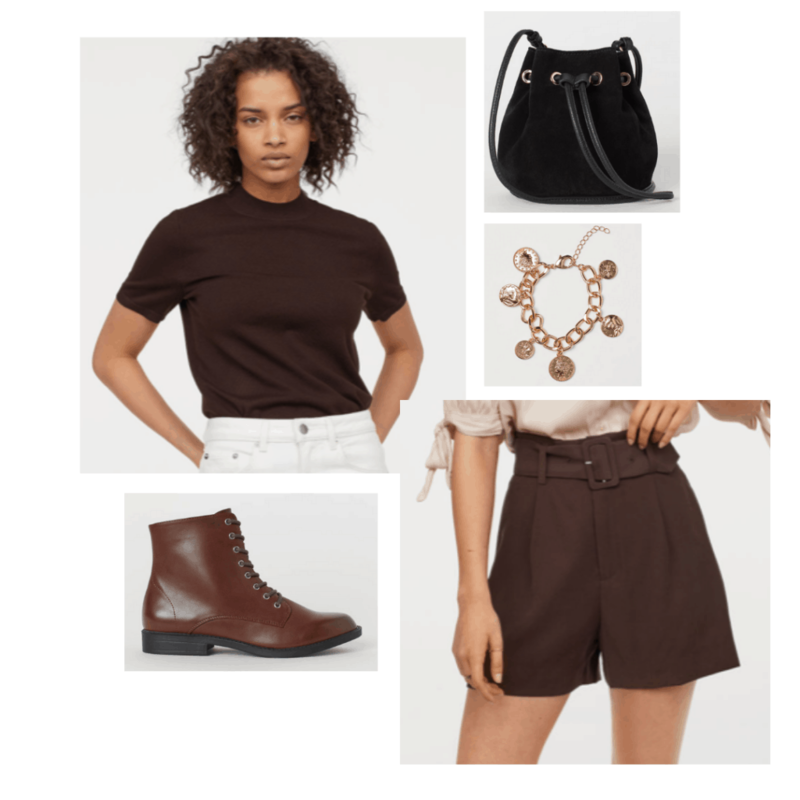 Her clothes include brown leather tops, brown pants, and a cloak with fur details. Her look also has inspiration from her training as an assassin, as the skirt she wears is loose and flowing to make it easier for her to move around and kill her enemies. Her season seven look represents the family she comes from and the journey she has gone through. 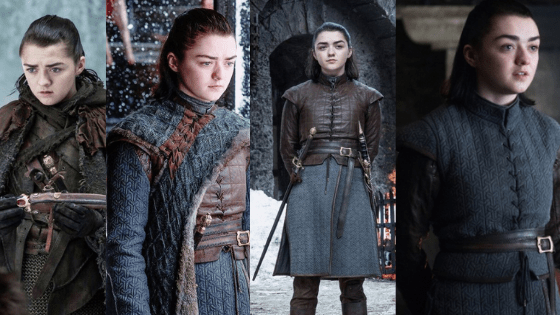 What do you think of Arya Stark’s wardrobe? We all look forward to seeing what Arya does next in the final season of Game of Thrones. What do you hope to see Arya do in the last few episode? Perhaps finish off the rest of her kill list? We shall see in just few more weeks! What do you think about Arya Stark’s outfits? 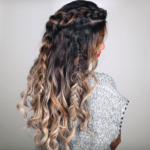 Are you a fan of her style? Tell us what you think in the comments.